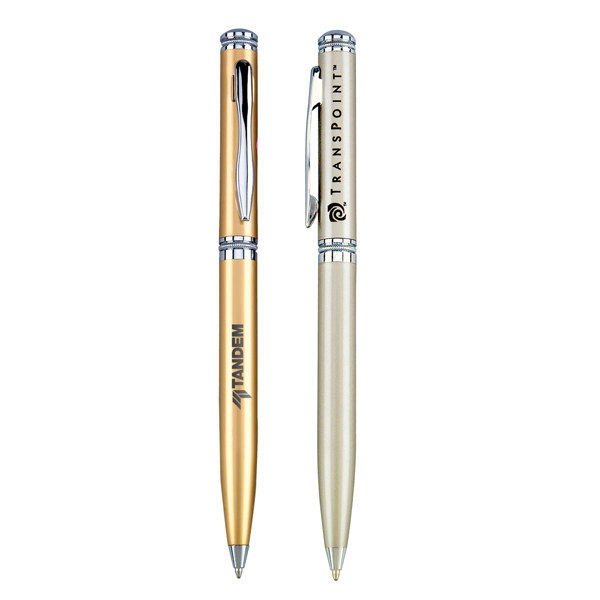 Slim twist action ballpoint pen featuring gold tone trim. 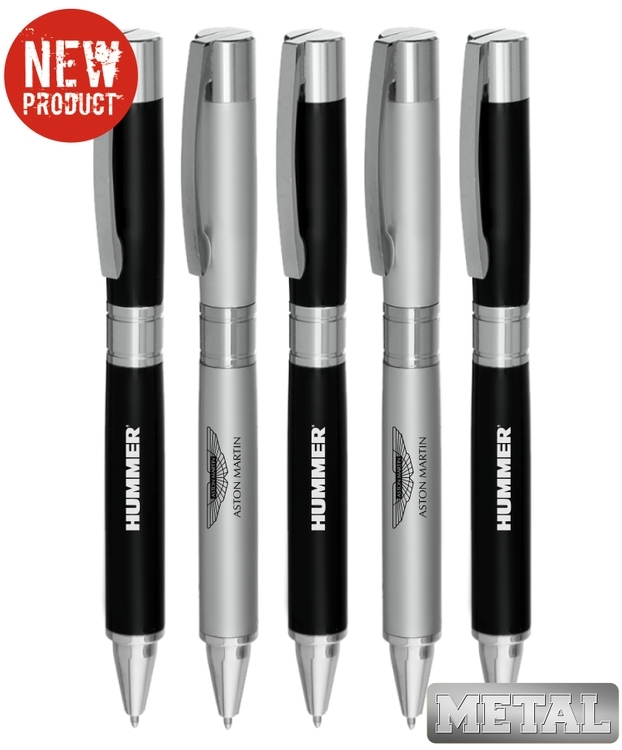 Black ink refill. 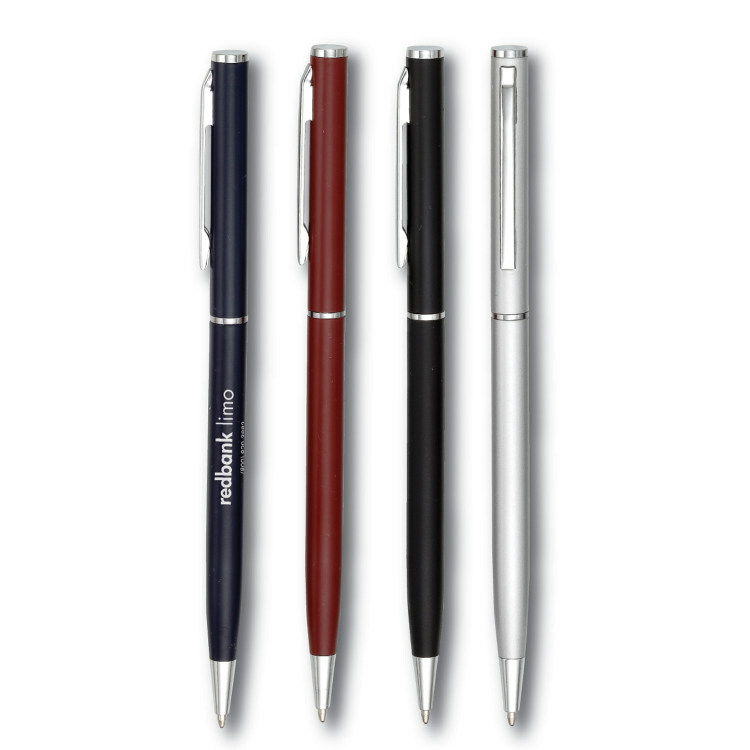 Slim twist action ballpoint pen featuring nickel tone trim. Black ink refill. 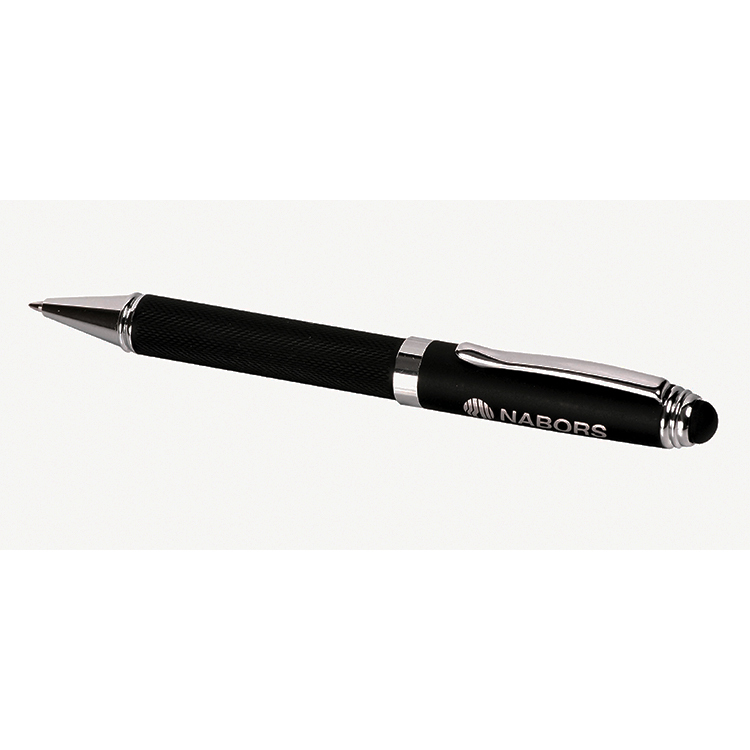 Twist action pen featuring a metallic lacquer barrel with satin silver cap and six ring rubber comfort grip. Black ink refill. 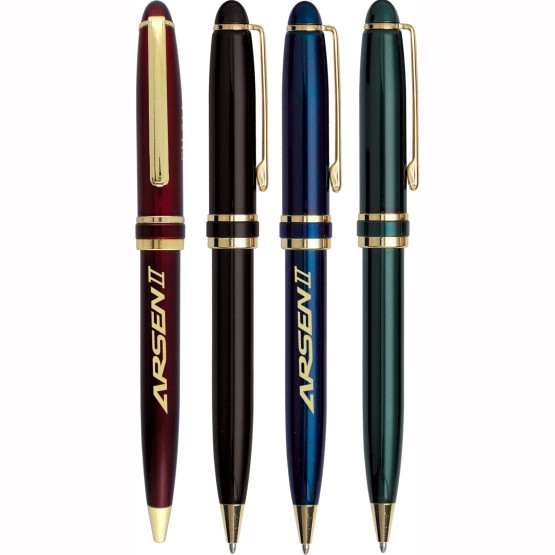 Twist action ballpoint pen featuring bright enamel finish with gold tone trim. Black ink refill. 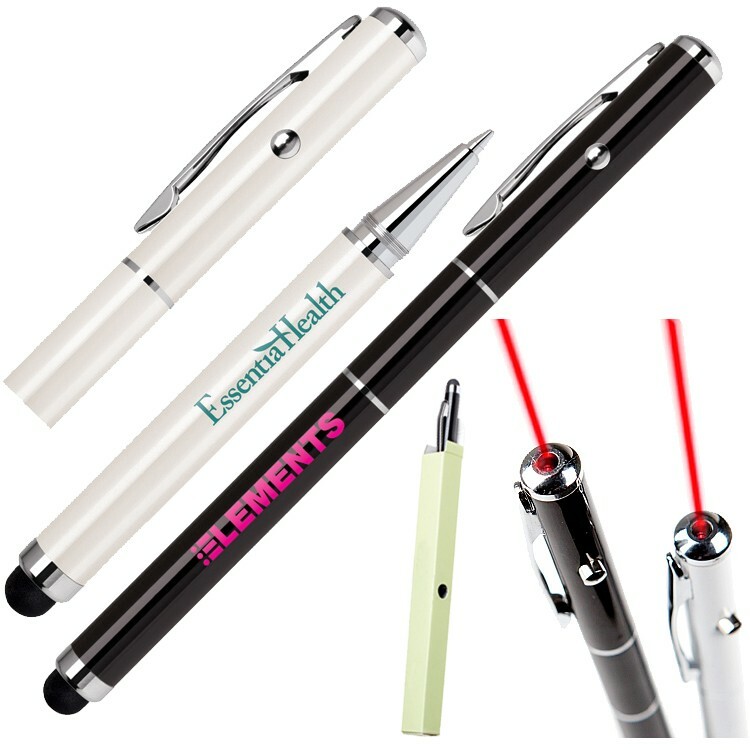 Price includes a one location laser engraving on barrel or cap. 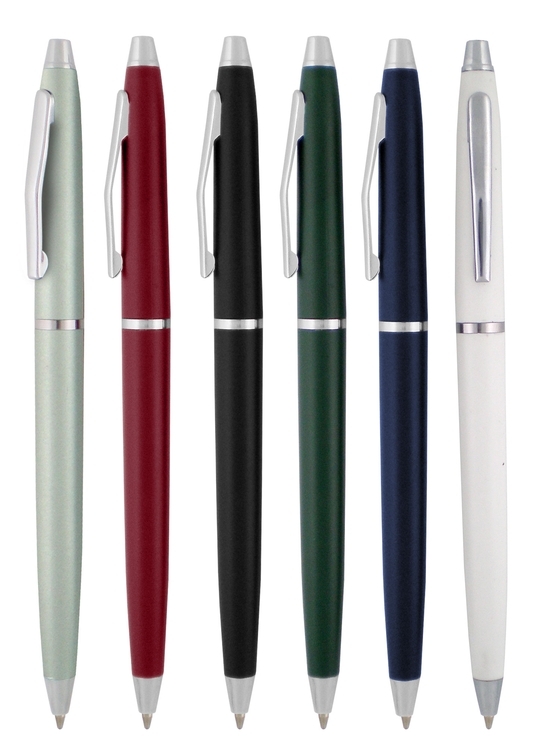 Twist action ballpoint pen. Aluminum barrel with gold or matte silver accents. 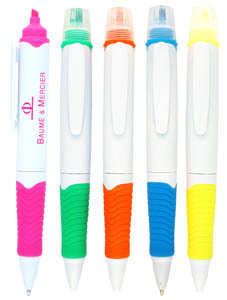 Blue ink refill Optional. Refills contain NON-TOXIC INK! 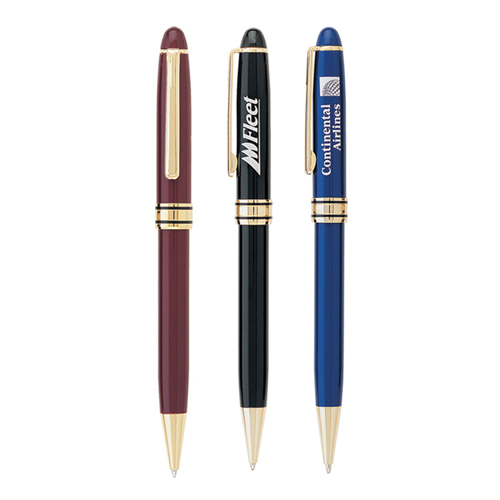 • Twist action ballpoint pen • Solid brass barrel with shiny chrome trim Blue ink refill Optional. Refills contain NON-TOXIC INK! 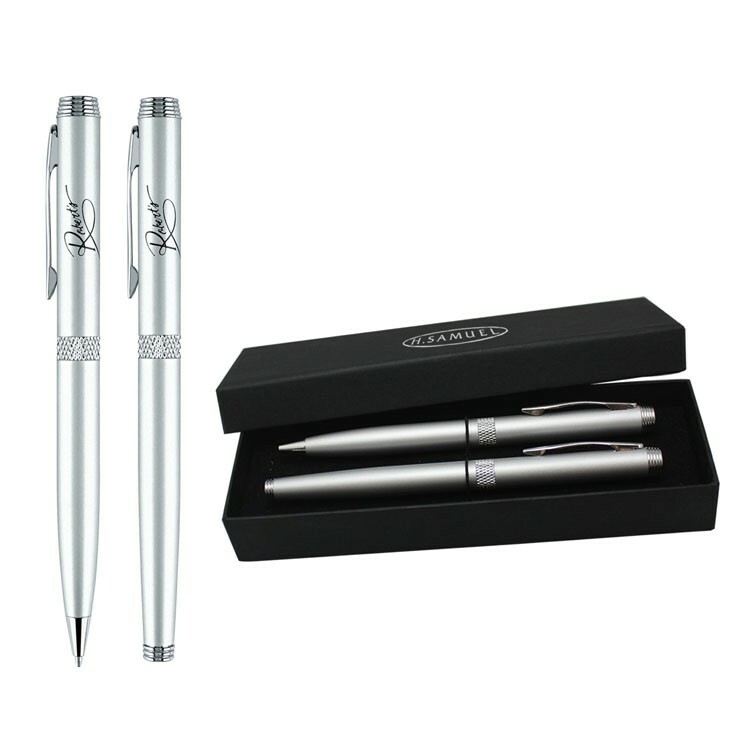 This laser-engraved pen set is ready to take your logo to the executive level. 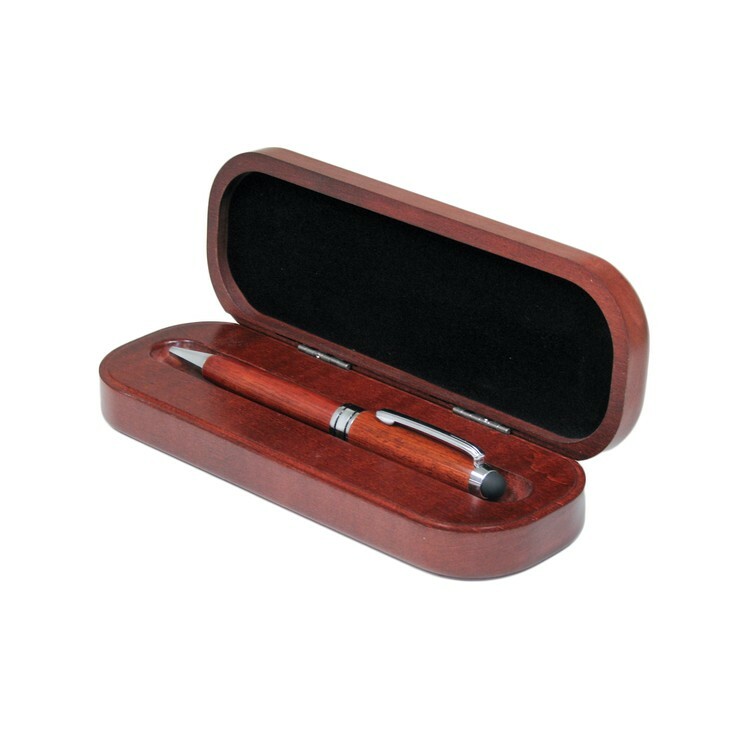 Included in this set are one twist-action ballpoint pen, one rollerball pen with removable cap and two-piece gift box. 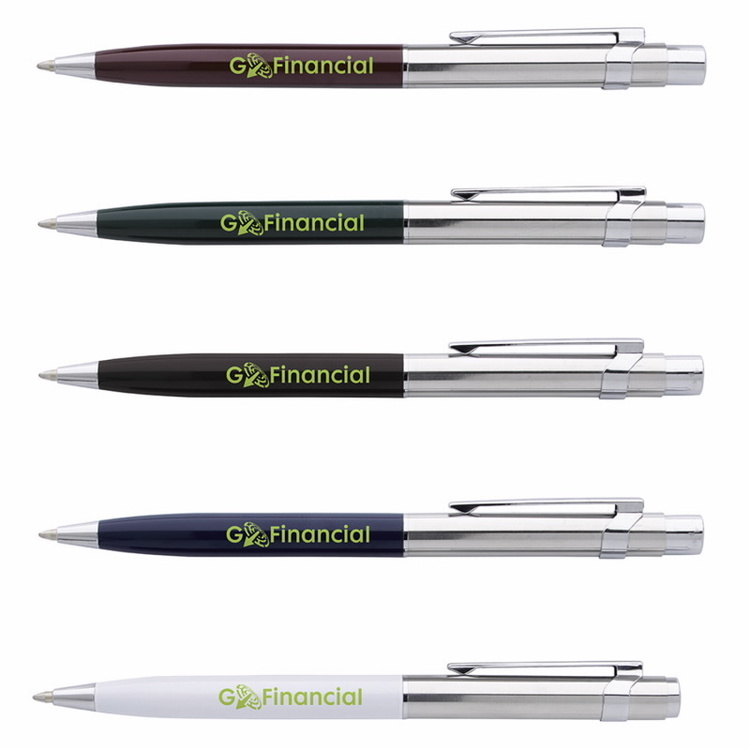 These imprinted pens make a great gift for any of your business partners. European black ink cartridges are standard. Twist action mechanism Metallic color barrel with chrome and gold trims. 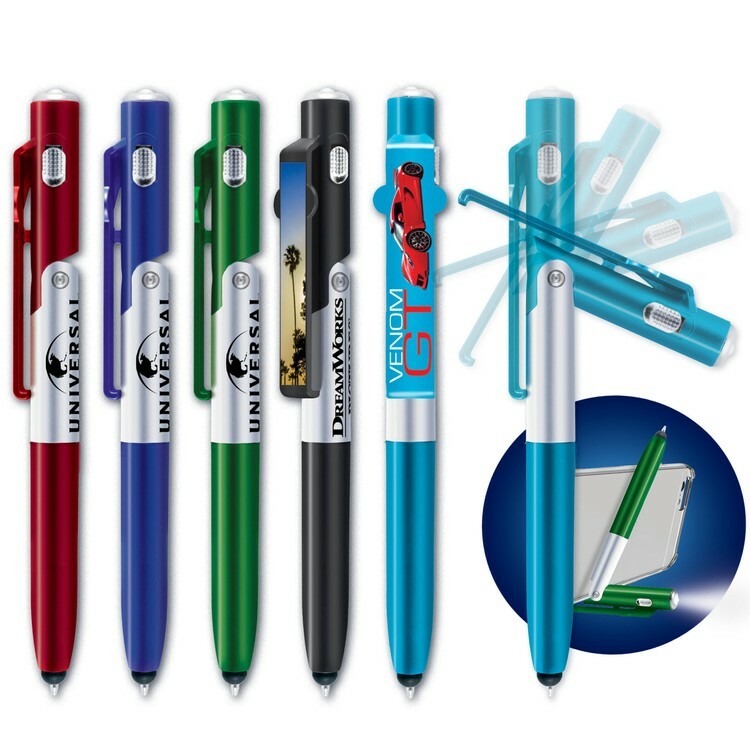 Blue ink refill Optional. Refills contain NON-TOXIC INK! 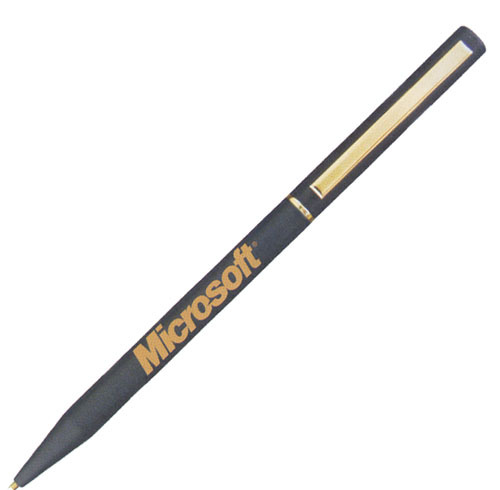 Lacquer coated brass ballpoint pen. Gold accents and clip. LM-01C is silver accented. Twist action. Standard black ink. 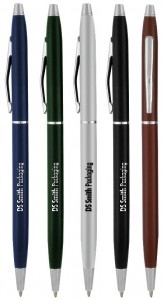 Price includes 1 color only imprint or laser engraving., engraves gold. 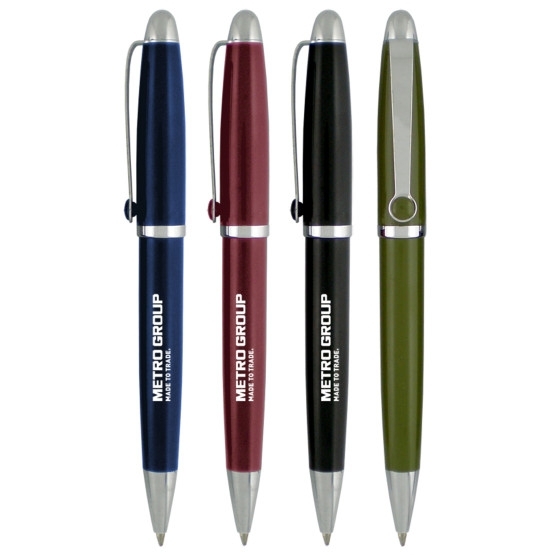 Union Printed, Promotional Peninsula Twist Pen, This Smooth Twist Action Ballpoint Pen Features An Elegant Silver Band, pocket Clip and Trim, give the pen flair! 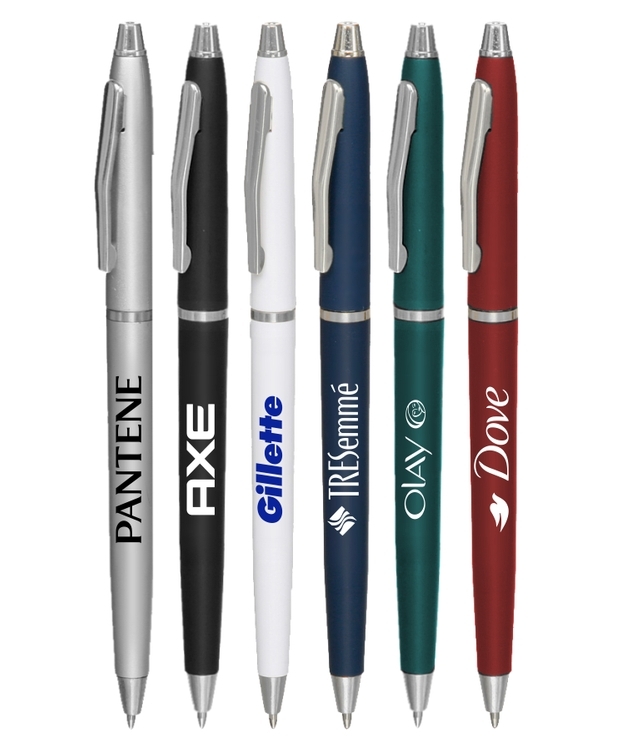 Perfect Promo Pen For Hotel Desks, Hospitals, and more. Decorated in our Union Shop - Union Bug Available at No Charge! 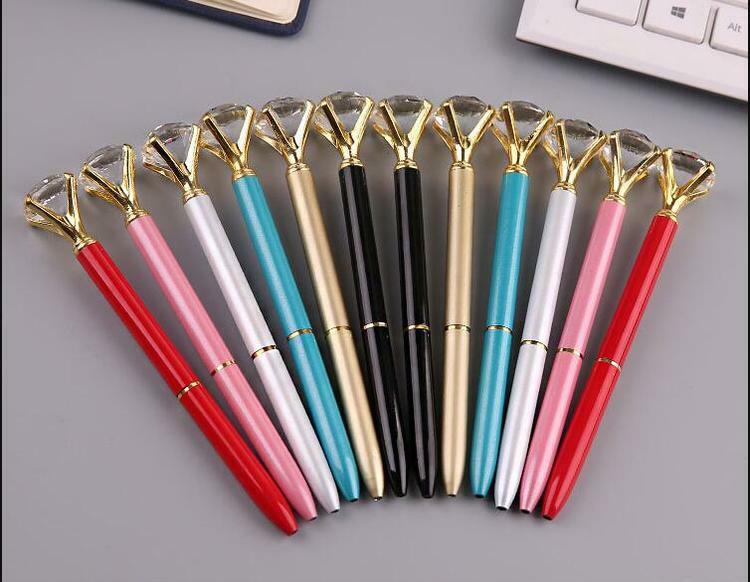 Union Printed, Certified USA Made, Retro Flower Power Designed Twister Deluxe Ballpoint Pen, This Twist pen is both stylish and affordable, Attractive Retro Flower Power Designed Barrels with elegant Silver Band And metal pocket Clip, give the pen flair! 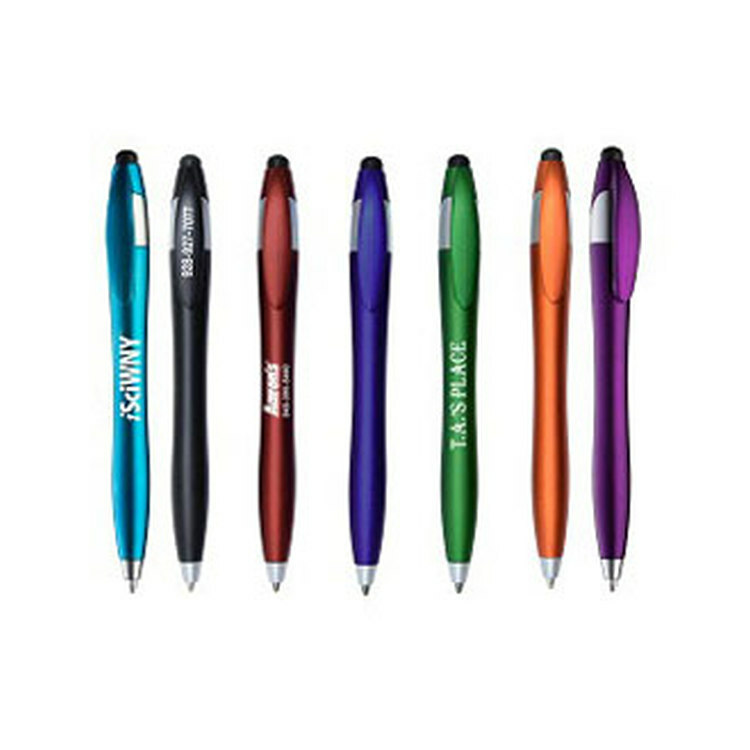 Features a Smooth twist action & Ink writes for over 3,000 feet. 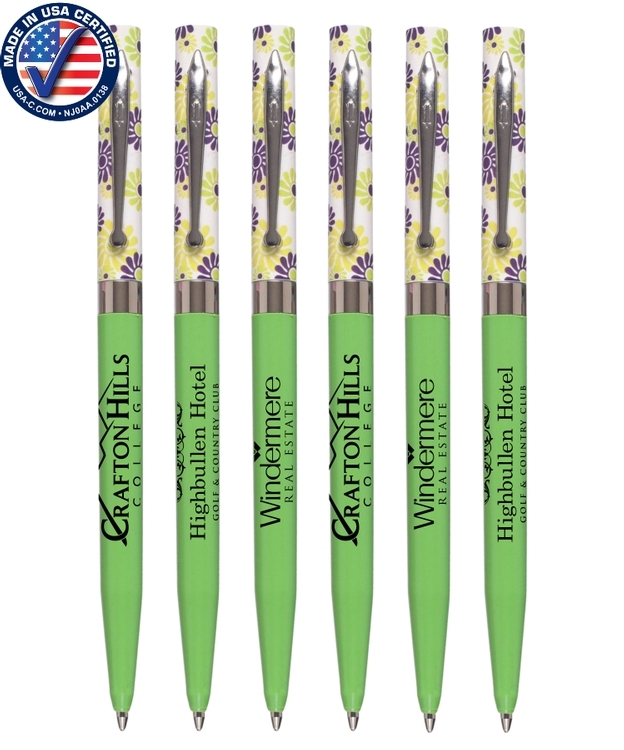 Manufactured in the United States & Decorated in our Union Shop - Union Bug Available at No Charge! 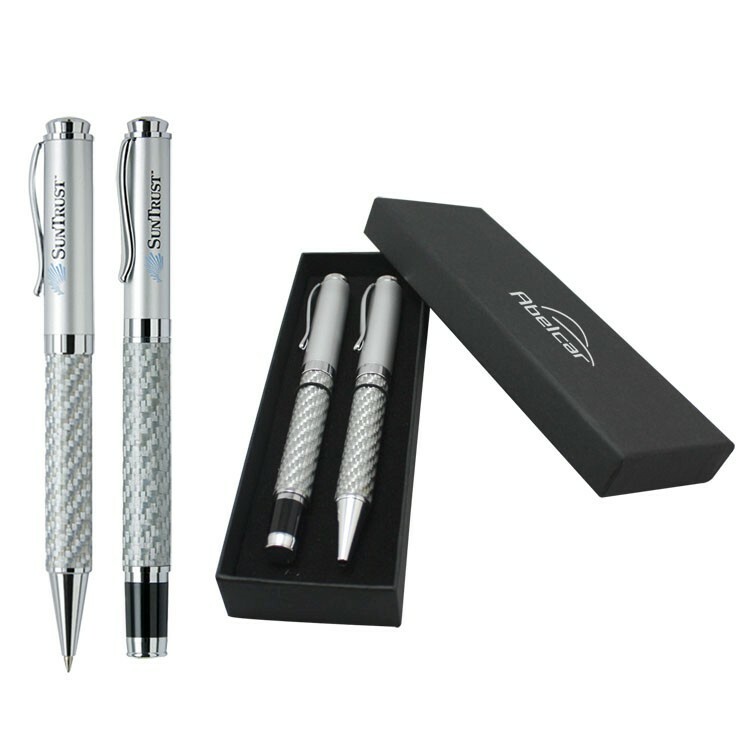 Union Printed, Promotional "Noble" Metal Rollerball Twist Pens, these smooth Twist Action metal pens features Rollerball Ink, silver accents at the tip of the pen, belly, clip and top hat, Get these Metal pens now for comfortable writing tools. 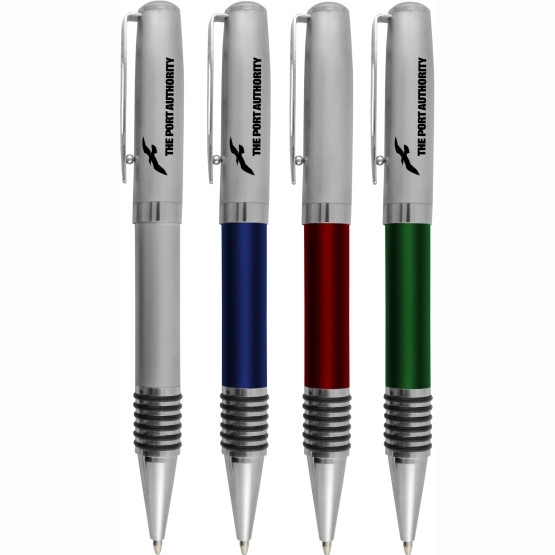 They have many quality features and designs that set them apart from other promotional pens, mainly their metal designs and highly convenient features. Decorated in our Union Shop - Union Bug Available at No Charge! 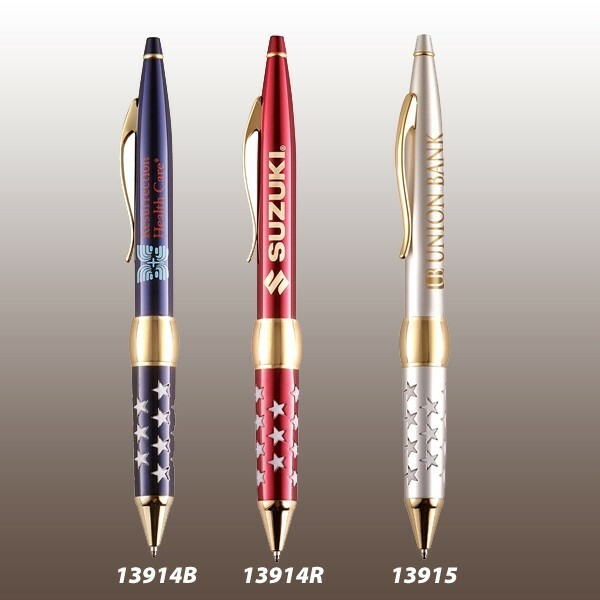 Patriot Brass Ballpoint Pen. 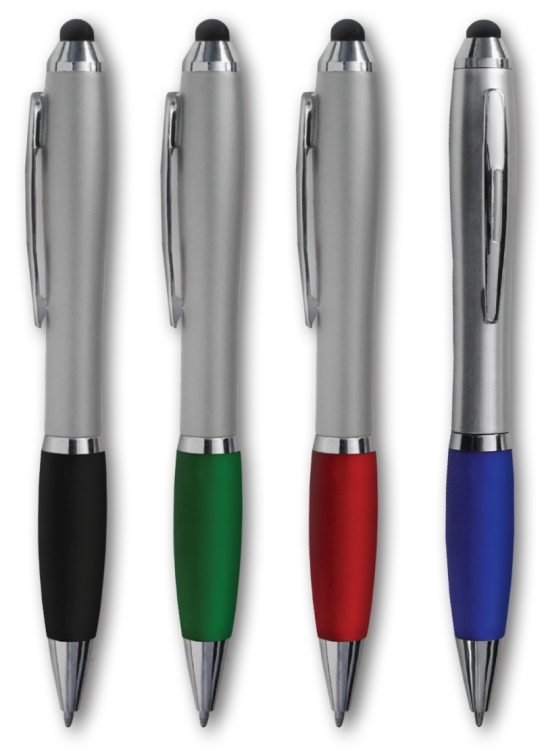 Twist action ballpoint pen. 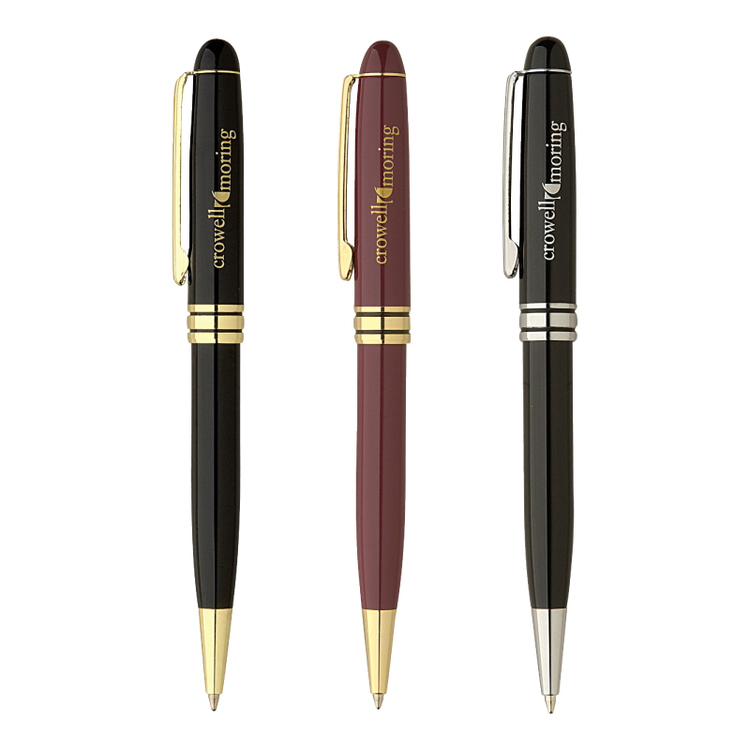 Translucent lacquered red enamel finish barrel with rubber star grip and gold accents. 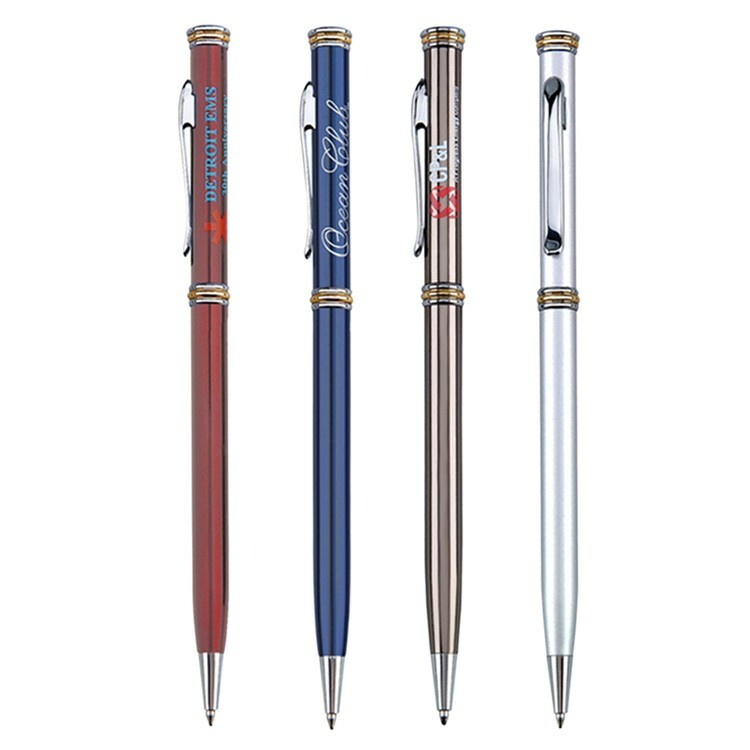 Union Printed, Promotional "Elegance" Bamboo Stylus Twister Pens, these Twist Action bamboo pens are unique and elegant gifts that will get the attention of your audience. 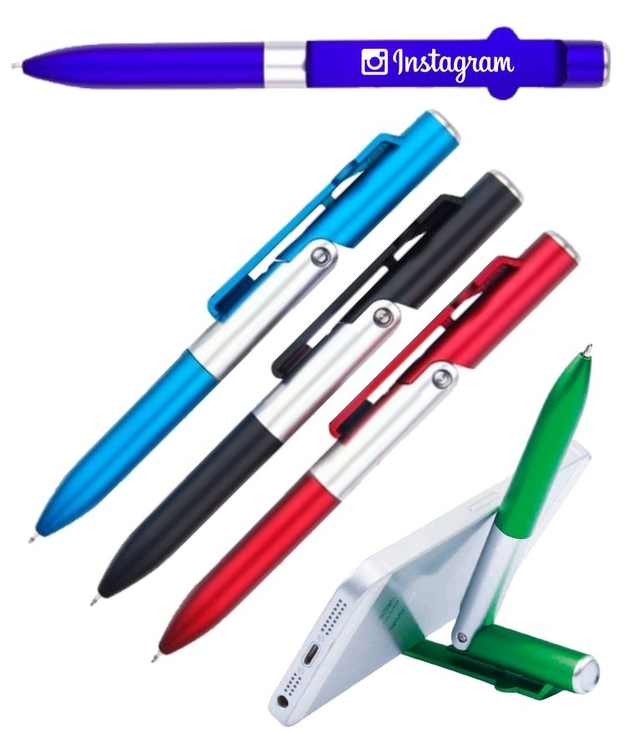 They feature silver accents to add a final touch of elegance, Responsive Stylus Point on Tip for Smartphones and Tablet Devices, Compatible With iPhone/Android and Kindle devices! 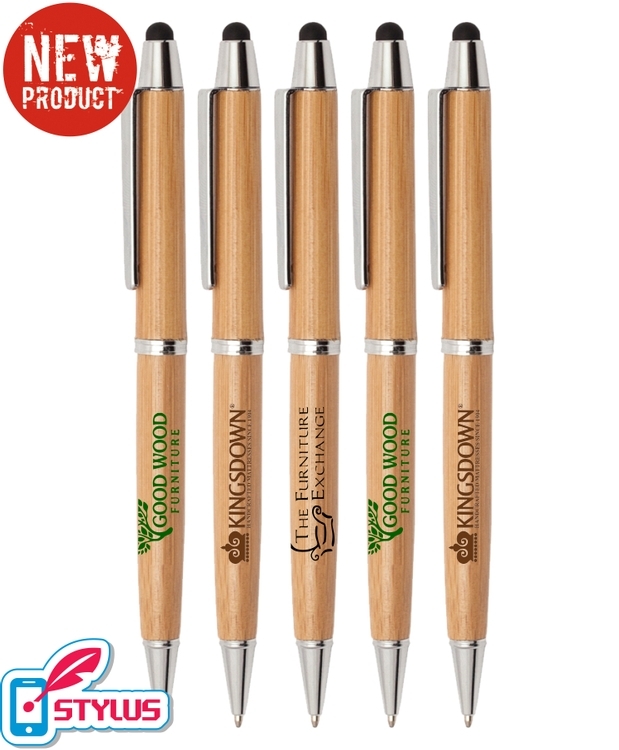 Get these bamboo pens now for comfortable writing tools and unique promo items that will change the way you advertise your business! Decorated in our Union Shop - Union Bug Available at No Charge!